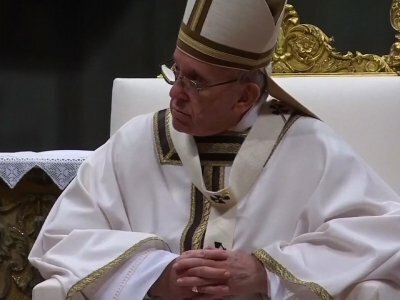 The scandal exploded last month when Francis’ trip to South America was marred by protests over his vigorous defense of Bishop Juan Barros, who is accused by victims of witnessing and ignoring the abuse by the Rev. Fernando Karadima. During the trip, Francis callously dismissed accusations against Barros as “slander,” seemingly unaware that victims had placed Barros at the scene of Karadima’s crimes. Four members of the commission met with Francis’ top abuse adviser, Cardinal Sean O’Malley, explained their concerns about Francis’ recent appointment of Barros as a bishop in southern Chile, and gave him the letter to deliver to Francis. The revelation could be costly for Francis, whose track record on the abuse crisis was already shaky after a botched Italian abuse case he intervened in became public, More recently, he let the abuse commission lapse at the end of last year. Vatican analysts now openly question whether he “gets it,” and some of his own advisers privately acknowledge that maybe he doesn’t. For the Osorno faithful who have opposed Barros as their bishop, the issue isn’t so much a legal matter requiring proof or evidence, as Barros was a young priest at the time and not in a position of authority over Karadima. It’s more that if Barros didn’t “see” what was happening around him and recognize it was problematic for a priest to kiss and fondle young boys, he shouldn’t be in charge of a diocese where he is responsible for detecting inappropriate sexual behavior, reporting it to police and protecting children from pedophiles like his mentor. While the victims’ testimony was deemed credible by both Vatican and Chilean prosecutors, some in the local church hierarchy clearly didn’t believe them, which might have influenced Francis’ view. Cardinal Francisco Javier Errazuriz has acknowledged he didn’t believe the victims initially and shelved an investigation. He was forced to reopen it when the victims went public, and has since apologized. Eva Vergara reported from Santiago, Chile. Yvonne Lee in Philadelphia and Jeffrey Schaeffer in Paris contributed to this report.